This summer, about 450 Bread Loaf students from 41 states and 15 countries will pursue either continuing education, a Master of Arts or a Master of Letters degree in English. 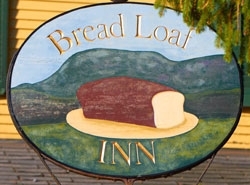 MIDDLEBURY, Vt. — Wednesday, June 27, marks the start of the 93rd summer session of Middlebury College’s Bread Loaf School of English, now in the second year under the directorship of Emily Bartels, professor of English at Rutgers University and a longtime faculty member and associate director at Bread Loaf. In addition to its original location in the Green Mountains of Vermont, the six-week residential summer graduate program takes place on three other campuses: St. John’s College in Santa Fe, N.M.; the University of North Carolina at Asheville; and Lincoln College at the University of Oxford in England. Started in 1920, the Bread Loaf School of English offers an array of graduate courses in literature and the allied fields of literacy, creative writing, pedagogy and theater arts, tailored to K-12 English and language arts teachers. The school's mission is to create a diverse and dynamic learning community that fosters innovative, culturally responsive thinking, teaching, and professional development. This June, roughly 450 students from 41 states and 15 countries will pursue either continuing education, a Master of Arts or a Master of Letters degree in English. They will study with a faculty of 45, who come from distinguished colleges and universities around the world. Renowned Latina writer Ana Castillo, Santa Fe poet laureate Joan Logghe, and hip hop artist Myrlin Hepworth are on the roster at Santa Fe, and newly named U.S. poet laureate Natasha Trethewey will be reading for the second year in a row at Bread Loaf’s Asheville location. At Oxford there will be talks on Shakespeare by Bread Loaf faculty member Miriam Gilbert and on Dickens by Oxford professor Robert Douglas-Fairhurst. Bread Loaf will also initiate a series of workshops and public talks on digital literacy and humanities across its U.S. campuses. Among the guest speakers will be Middlebury Provost, Executive Vice President, and Professor of English and American Literatures Alison Byerly; former Bread Loaf student and current President of the Council of Library and Information Resources Chuck Henry; and Stanford Professor of English Andrea Lunsford. The series is supported by a grant from the Arthur Vining Davis Foundations. The 2012 session will also mark Bread Loaf’s celebration of the first year of its partnerships with the Navajo Nation and Princeton University, and the 25th anniversary of the Andover Bread Loaf Writing Workshop (ABLWW), a collaboration with Phillips Academy, a private secondary school. The ABLWW reaches out to teachers from inner-city schools in the U.S., India, Pakistan and Africa. More information is available at www.middlebury.edu/blse, 802-443-5418 or blse@breadnet.middlebury.edu.